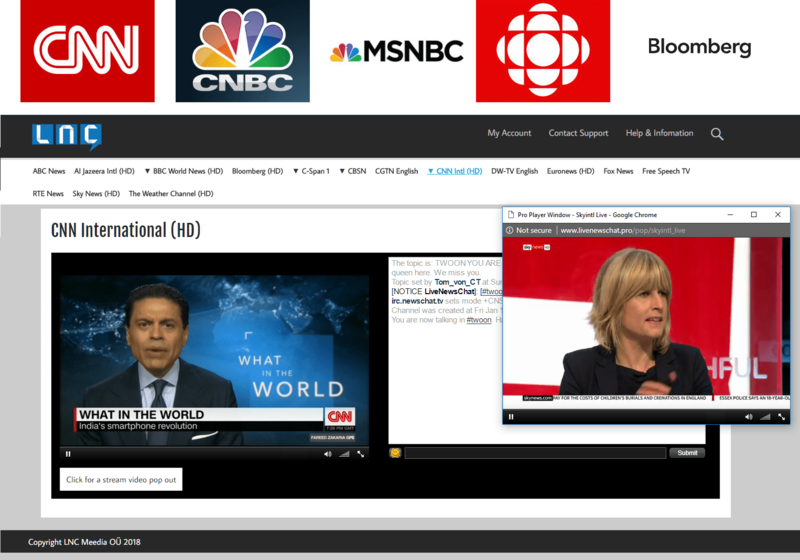 LNC Pro provides you with access to more live news channels than any other provider online. Live streaming over the internet no matter where you are with TV quality broadcasts on your PC and mobile. We also have many shows avaliable on-demand with downloadability for archiving to your device. Our Live Chat Rooms break news faster thanks to constant activity of our chatters and newsbots monitoring the wires. Check out our plans today and TRY US FOR FREE! Priority based access to the largest breaking news system on the internet for pennies a day. ...and much more! So come on in, check us out.